We open with Donuts & Dads! The magic begins during Donuts with Dad on Friday 11/9: shop early at the fair beginning at 7:30 am. Our Enchanted Green Screen will be open for photos; $1 donation goes to the All For Books charity. We have all the books to make holiday wish lists come true! Let Your Imagination Grow at our late night Family Glow Evening on Tuesday, November 13th at 7 pm. We'll be getting our glow on with face painting and accessories under the blacklights! Silver Claw the Elder (Mr. Miller) and Lightening the Powerful (Mrs. Hunt) will be weaving a tale by the glow of sparkling lights. Don't lack imagination - be sure to donate $1 for All For Books charity and put on your fiercest or sparkliest fairy tale attire - dragons, knights, wizards and unicorns, oh, my! We're open until 8:30 pm this evening! We will be holding a Coin Challenge for the All For Books charity the week before the Fair, 11/5-11/9. Each day we will award points to the Team that collects the highest total for that day. The class that collects the highest overall total will receive a class reward. *Any Coin Friday Bibbidi-Bobbidi-Boo, we need you! 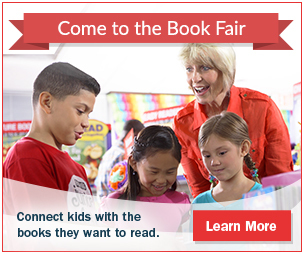 Be sure to let Mrs. Nottingham know, or 303.387.8136 (library) OR sign up online at our Book Fair SignUp. Check out our Book Fair Home Page for all our event details. So sprinkle on some pixie dust and don't miss out on this Enchanted Event. Thanks for helping our students know that Books Are Magic!